First edition. Table of contents, foreword by Susan P. Schoelwer, acknowledgments, endnotes, select bibliography, biographical sketches of the authors. Color illustrations throughout. Maps on inside covers. 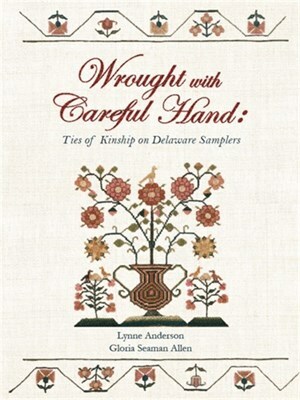 An exhibition of samplers produced in Delaware, mostly early 19th century, with emphasis on kinship connections.